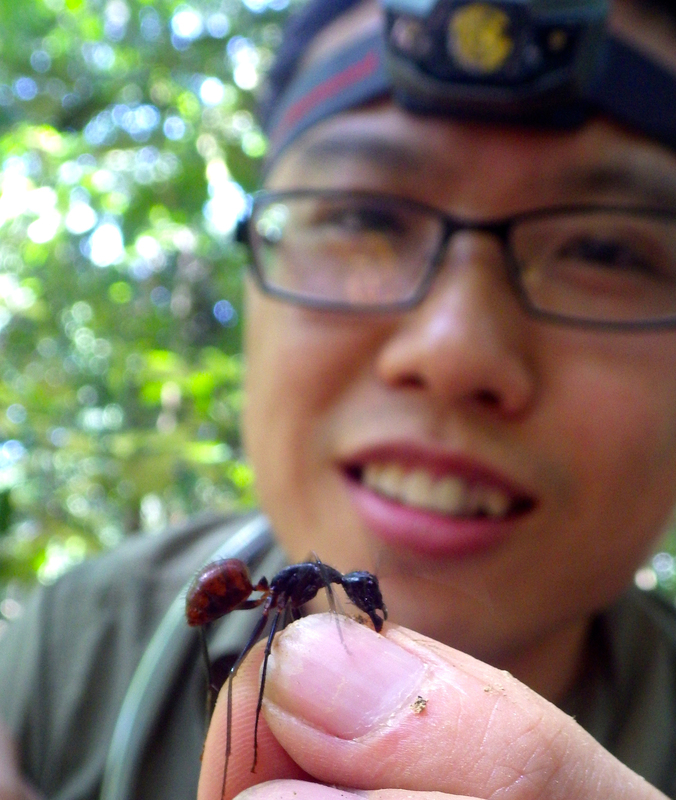 I spent three years in the tropical forest (Xishuangbanna, China) to study fig and fig wasp mutualism for my Master’s degree. My research at that time was to answer how and why the body size of fig wasps evolved and its implications for stability in a fig-pollinator mutualism. I also did a lot of works about the behavior and pollination biology of fig wasps. During the time in the tropical forest, I had developed a broad interest in ecology, such as entomological ecology, evolutionary ecology, conservation, biogeography, plant-animal interaction and biodiversity, and I found ants really fascinated me. So after I got my master’s degree from the Chinese Academy of Sciences, I decided to pursue my Ph.D research using ants. Right now, I am a PhD candidate in Evan Economo’s lab in OIST. For my PhD project, I am studying the impact of habitat change on different levels of the ant community structure, species richness, composition and genetic diversity in Southeast Asia. In the future, I plan to study the population genetics of ant communities in multiple habitats along a gradient of disturbance. I also plan to compare genetic diversity of ant communities between continental and insular habitats and understand some of the reasons that could explain the potential differences observed.